We are on our third week into the New Year, but I know for us it feels like we are just starting to get into the swing of things. With my girls having just started back at preschool two mornings a week, I feel like it helps get our whole family back on a better routine. Including with meal planning and dinner prep! Can you relate? Whether you have been following these meal plans closely and have already come to expect them in your inbox every Friday (you can sign up here! ), or you are new to seeing how I lay out meal planning for the week, I invite you to check out the past two weeks of plans (here and here) and to enjoy the upcoming week's below! Are you a “cook once, eat twice” kind of family? Many weeks, it seems we are either preparing extra batches of meals for neighbors who flooded (in Hurricane Harvey), friends with new babies, or to eat as lunches or leftovers. Some meals, I even prep everything twice so I can cook one and freeze the other for later! I would love to hear if this is a method you use - often, on occasion, or rarely ever (by email or a PM on Instagram). 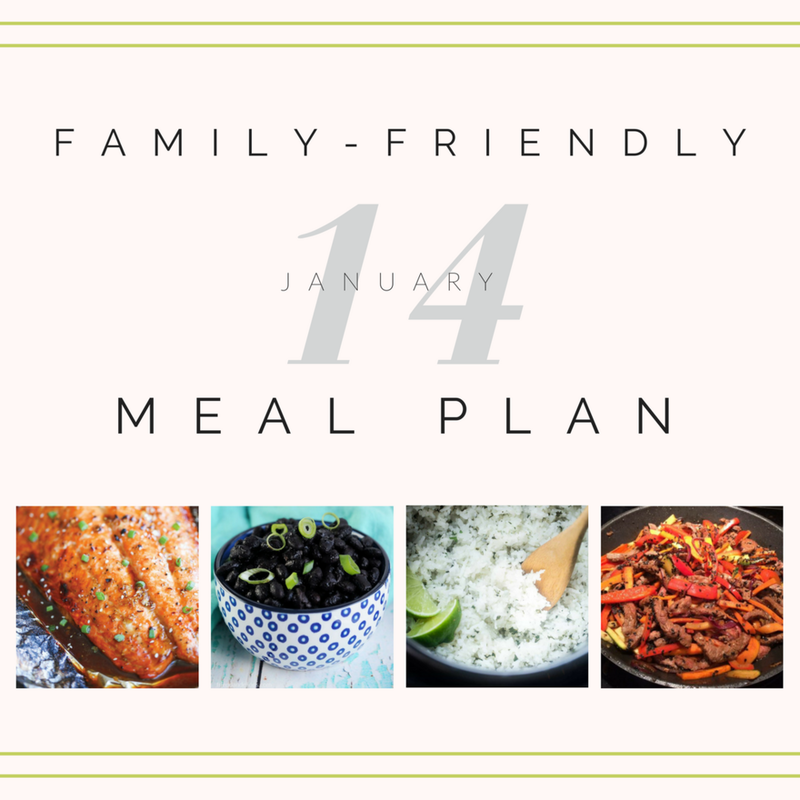 Thinking through this not only helps me as I plan my own family’s meal plan, but also as I try out new menu items to share with all of your in the coming year! Coming off of the holidays, it can be hard to push a reset on our family’s cravings for the “sometimes foods” we don’t usually have around on a day to day basis. From the holiday treats we got as gifts to the cookies we baked for Santa to the cinnamon rolls we make every Christmas morning, it can seem like the sugar will never fully get cleared out. Or when it is, we are left with little ones who are asking for it ALL. THE. TIME. Know it is normal for kids to crave high-sugar and/or high-fat foods. Like many adults, children are often times more susceptible to craving these foods. When these foods aren’t as readily available, kids can also become more fixated on these. 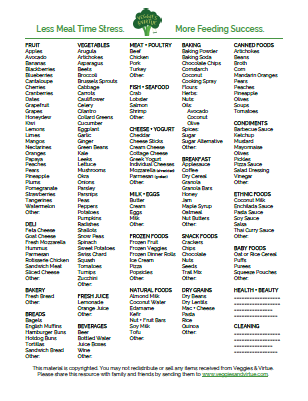 Know that while it is normal for kids to enjoy such foods, it is your role to decide what foods from this category are made available, when, and where. Don’t use desserts as bait, but rather highlight how they fit into a healthy lifestyle by how often you eat them. Kids don’t need to be harped on about the health benefits in the foods they eat. Instead, it is helpful for them learn that certain less healthful options (like desserts) are "sometimes foods" to be enjoyed "sometimes." Instead of putting these less healthy option on a pedestal, use language to emphasize that you eat these “sometimes” while other foods you eat "everyday" (like fruits, veggies, whole grains, and lean proteins). This also opens up the conversation about how often your family will eat desserts. Create a family dessert policy. When kids don't know when they will get a sweet or other preferred “sometimes” food, they may be more inclined to crave, covet, and constantly ask for it. Instead, talk as a family about what is realistic for your sweet schedule in the coming year. We usually offer fruit every night at dinner for a sweet "Love It" or "Like it" option, then we plan dessert as a family for two nights out of the week (for us, that’s usually on weekends). The conversation can start as simply as asking your spouse, "How do we want to handle desserts in our family?" to get the discussion going. Then, clue your kids in on what the new framework will be moving forward. This falls us OUR division of responsibility in feeding as parents to decide what/when/where certain foods (including sweets) are offered while keeping sugar available in moderation. How do you want your family to handle sweets in the upcoming year? Make intentional steps in that direction - not by banning or bashing sweets altogether, but seeing how more healthfully can fit for your family. I love to cook, but since becoming a mom, I have a huge appreciation for certain ready-made items. While I would prefer to scratch-make everything, I know that just isn't realistic in my life right now. That's why I look carefully for ready-made items with ingredient lists that are natural and as close to the "real recipe" I would use if making myself. 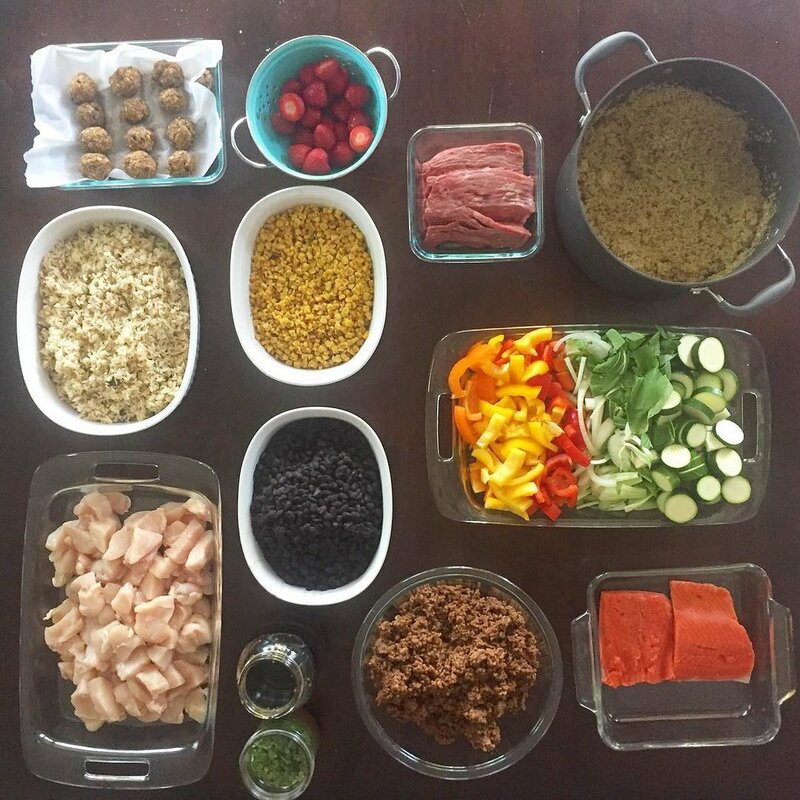 Some of the items I usually rely on ready-made for are Madras lentils, granola, trail mix, and guacamole, unless I know I will have time to both buy the ingredients AND make them from scratch myself. That's why this week's Costco haul had several items that were ready-to-eat favorites. The produce for the week I purchased separately and meat we already had on hand from a previous Costco run. One thing I do do myself though is grate my own cheese. I buy this huge block of cheese and put it into the shredder on my food processor. It is quick, easy, super-cost-effective (this whole block is only $5) and the shredded cheese tastes SO much better than pre-shredded cheese which has added ingredients and fillers to prevent it from clumping that end up making it taste and melt funny in my opinion. So to make sure ours stays fresh, I shred it when I know we will be eating it in an upcoming recipe or dish (within the week, usually). I only shred about a half of the block at a time or whatever I think we will go through during the week. To store, I keep it in a dry air-tight Ziplock bag until we use it up. I also prepared some strawberries washed and hulled, pumpkin pie energy bites for snacking, and chicken to be put on my husband and my lunch salads all week. This was a longer prep session than usually and took me around 3 hours. While it is not a lot more work to prep large batches of food, it does take a little longer per recipe to prepare each. Additionally, since I know marinades take me a bit more time, I decided to make these ahead and jar them which also added some addition time to this week's prep. 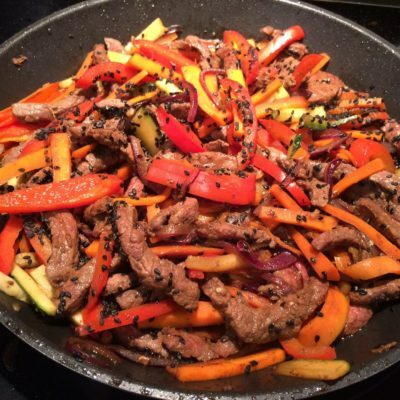 Tag me on social media when you try a recipe from my meal plans! I would love to see what you are making and hear how you enjoyed it!